Change in our bloated, inefficient, overpriced, dangerous, low-rated healthcare system is coming. It has to. The current direction of the existing system is not sustainable for the system itself and also for our country. 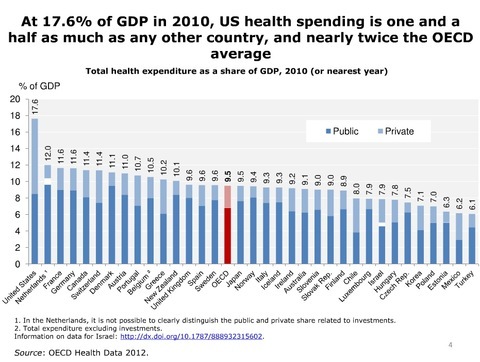 Our healthcare is more than twice as expensive as the average of advanced nations worldwide. What do we get for this astronomical cost? Not nearly enough. In fact, the US is rated number 37 in the world in quality of care, just behind of Costa Rica and just ahead of Slovenia. In 2017, healthcare in the US was 18% of GDP and still rising. 18%! What might be the core issues driving this miserable situation? I think there are three: for profit motives, poor systems and processes, and poor leadership and management. We are the only for profit system in the developed world. This means that all vested interests are doing all they can to keep profits high while reducing their costs of goods and services. This usually means keeping prices high in an inelastic market. It’s the capitalistic way; less for you and more for me, even if the customer dies in the process. Drug companies, insurance companies, medical equipment makers, distributors, hospitals, physicians, and politicians—you name it—everyone has a hand in the cookie jar. I’m an entrepreneur and a capitalist but not a big fan of the crony capitalism that is driving wealth inequality and the destruction of the US middle class. Healthcare is a symptom of crony capitalism at its finest. Okay. That’s not going to change in the short term. So, what are we going to do to shore up healthcare so we don’t bankrupt anyone who gets sick or kill or ignore anyone who can no longer afford healthcare, insured or not? Approximately 94% of the results we experience in the workplace are a function of the systems and processes in which people work, not the efforts of people. How many leaders and managers in healthcare know this? Not many. If we want better results, including better outcomes for patients, frontline care providers and the bottom line, we have to fix legacy healthcare systems/processes. Nobel Prize winning science shows us that stresses in systems that resist change in a changing environment (think healthcare) are passed on to those who have to work in those systems. Now we have stressed systems, stressed people, high costs and poor outcomes. This is four strikes against the US healthcare system. But there are a couple more strikes as well. Legacy leadership and management in healthcare, for the most part, is comprised of systems illiterate individuals in mostly top/down and often fear-based cultures. Most are living in an obsolete but unquestioned management model. This model is burning up healthcare providers, especially on the frontlines where care is actually provided. In order to create better outcomes in healthcare, it becomes clear we must upgrade the systems to produce the desired results and expand the thinking of leaders and managers to include systems thinking. Some of you might be thinking, Okay. Sounds good. Now what? I suggest that progressive healthcare organizations, as an interim step strategy, implement the four New Agreements for Leaders and the 7 New Agreements Tools. These New Agreements and 7 Tools have proved quite effective in fixing systems, relieving stress on people, creating much better outcomes in the areas of quality of care and safety and significantly more profit. I believe for large hospital systems, profits could easily rise 25% or more while providing better, safer healthcare. For smaller hospitals, the rise likely would be greater. That’s been our experience in implementing the Agreements and Tools in healthcare organizations. 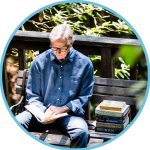 To learn more about The New Agreements and the 7 Tools, pick up a copy of my book, The New Agreements for Leaders – The 4 New Agreements and 7 Simple Tools that Develop Emerging Leaders and Managers and Grow Great Organizations. It’s free at www.thenewagreements.com.